Eleanor’s practice covers all areas of private family law including the full spectrum of financial remedies cases, relationship agreements, cohabitation claims, family violence and private law children work. 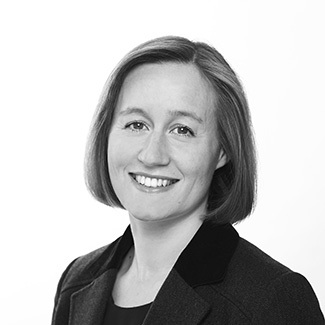 Eleanor has a particular expertise in claims under Part III of the MFPA 1984 for financial provision after an overseas divorce. She was junior counsel in the landmark Supreme Court case of Agbaje v Agbaje  UKSC 13. The Supreme Court restored the order of the High Court, where Eleanor appeared unled against leading and junior counsel. Eleanor is equally experienced in private law children cases. She regularly advises and represents clients in matters ranging from Parental Responsibility, Child Arrangements Orders to international relocation cases. Eleanor is acutely aware of sensitive nature of these matters and seeks, and has achieved, workable solutions even in the most high conflict cases. Eleanor was called to the Bar in 2000 after completing a history degree at St Catharine’s College, Cambridge and post-graduate studies at City University. She completed her pupillage in chambers in 2002 under the supervision of Nicholas Cusworth QC, Catriona Murfitt and Geoffrey Kingscote. Eleanor is the author of the chapter on financial relief after an overseas divorce in the most recent edition of Rayden & Jackson on Divorce and Family Matters. Eleanor is married with two young children and lives in St Albans.